After spending his first two seasons in Belgium with VDK Gent and Switzerland with TSV Jona, Mitch Beal is heading to the Czech Republic to play for VK Ostrava. The team is coming off of a 7th place finish in the regular season of the Czech Extraliga last season. The team beat Zlin 2-1 in a best-of-three playoff series to reach the quarterfinals. They then lost to Dukla Liberec 3-0 in a best-of-five series. Beal spent last year with TSV Jona in the Swiss Nationalliga A (NLA). 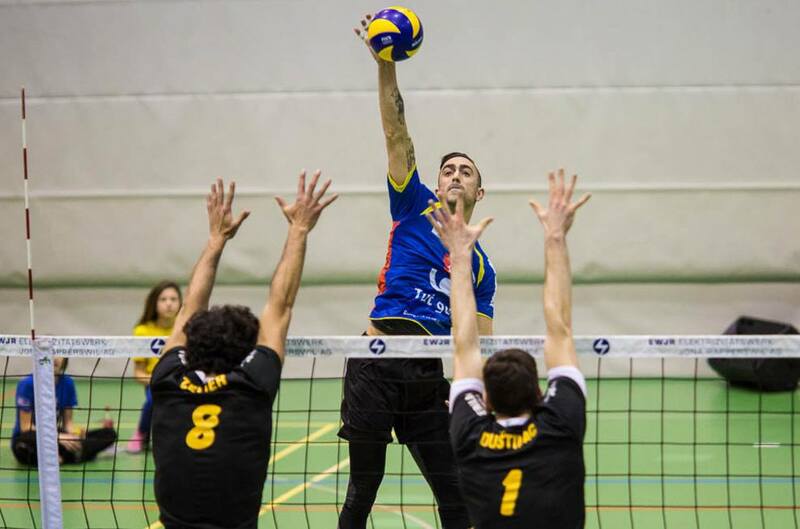 His team finished 7th in the regular season and lost to Volley Nafels in the quarterfinals 2-0 in a best-of-three series. TSV Jona finished 8th after the 7th place classification match, Einsideln in a tie-break. Though it was not the most successful season for TSV Jona, Beal was the team’s leading scorer with 236 points. That point total landed him at 9th on the list of top scorers in the NLA. His points came from 225 kills, 9 service aces, and 29 blocks. Before playing professionally, Beal played his collegiate volleyball at Ohio State University and completed his eligibility in 2015. Another former Ohio State Buckeye, Mikelis Berzins played for VK Ostrava back in the 2015-2016 season. Chris Nugent, a Penn State University alum, played in Ostrava this past season but will not be returning for 2018-2019.